This Saturday sees Swansea City travel to Pride Park to face former Swans loanee Frank Lampard and his Derby County side in the EFL Championship. It has been a difficult week for Swansea with two home defeats to Norwich City and West Bromwich Albion, with six goals conceded in the process – a surprising stat given the Swans early season defensive strengths. Swansea did actually enjoy more possession and have more shots than both of their opponents this week, but defensively Swansea gifted both of their opponents easy goals and ultimately got what they deserved. The results leave Swansea eleventh in the table and five points off the play-offs. Derby also suffered a 2-1 defeat last time out away to Stoke City. The result was a surprise given that Stoke had to play with ten men for over an hour, and the result leaves Derby 7th in the table just outside the play-off places on goal difference. Take a look at all of the historical results between the two clubs since their first meeting way back in 1935 when the Rams hammered the Swans 5 nil in the Second Division, on our Derby County v Swansea City Head to Head Statistics page. Swansea fans won’t be too confident in making the trip to Derby this week after their team’s recent defeats, but Derby have had their own difficulties recently as well. Derby were defeated against a Stoke team with ten men and they were also beaten by three goals at home by Aston Villa a couple of weeks ago. Also, take into account that Derby will be missing key defender Curtis Davies, after he was carried off in midweek, and Bradley Johnson will be missing through suspension after his biting controversy. Backing Swansea to win may be a bit bold, but I think the 13/10 (2.30) on offer for Swansea to win with a 0.25 goal start on the Asian Handicap offers good value. No doubt Swansea will need to be better defensively than they have been this week, but they have proved they can be organised at the back this season and I feel they can threaten a weakened Derby defence. Another tip I’ve spoken about in previous weeks is betting on Swansea’s opponents to receive the first booking in games, as Swansea are far and away the top side in the Championship fair play table. I have tipped this in the last three Swans games against West Brom, Norwich and Bolton, with two successes. 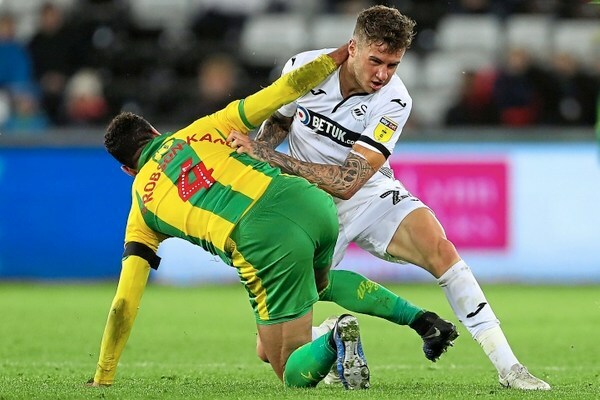 It was with some amazement that it wasn’t three out of three on Wednesday night, with the West Brom players allowed to make numerous quite cynical fouls on Dan James in particular, without any card as punishment. In fact, it was Dan himself who got a card for complaining to the referee about the treatment he received! 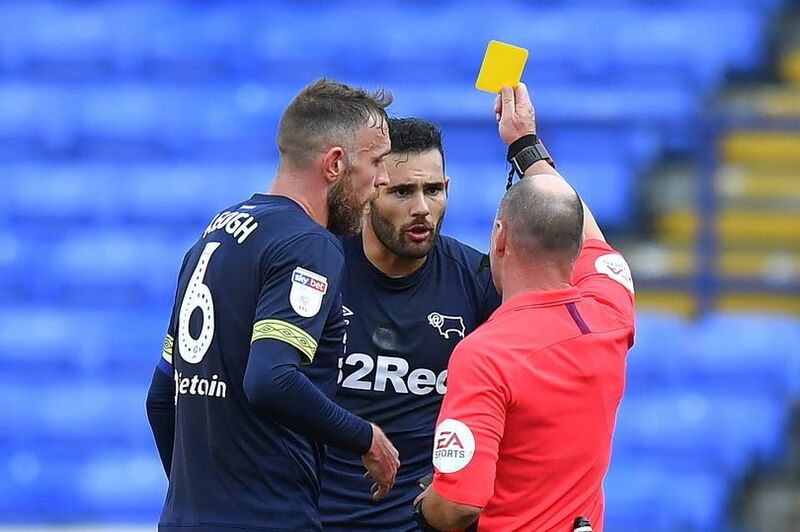 Over the season Derby have played with an aggressive style, picking up 39 yellow cards along the way compared to Swansea’s 16 yellows. Yet Derby are 13/10 (2.30) to receive the first yellow card this weekend. The bookmakers are taking into account that Derby are favourites to win and therefore Swansea would be expecting to be defending and tackling more, but I do feel they’ve allowed too much for their expectations of the game rather than both team’s style of play. So there is value in backing Derby to receive the first booking. The Swans Official sponsors BetUK are also giving some preferential odds for Swans fans for the clash with the Rams. Derby to receive the first booking of the game at 13/10 (2.30) with Paddy Power and BetFair . Asian Handicap – Swansea +0.25 at 13/10 (2.30) with BetDaq. Swansea City sponsors BetUK are offering new customers £5 + 10 free spins when they bet £5. Terms and Conditions apply. Betfred are currently offering new customers £30 plus 30 free spins when they place a bet of £10. Terms and Conditions apply.